Attractive Young Woman With Flower Wreath On Her Head With Sunset In Background. Фотография, картинки, изображения и сток-фотография без роялти. Image 35800981. 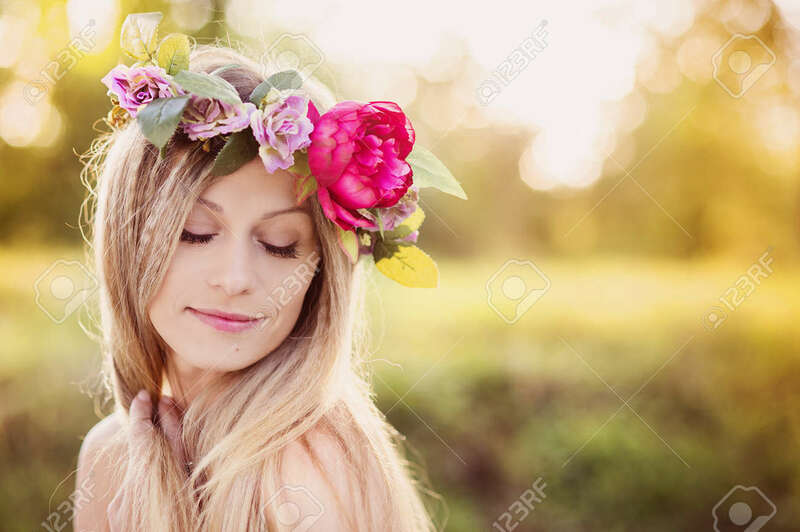 Фото со стока - Attractive young woman with flower wreath on her head with sunset in background. Attractive young woman with flower wreath on her head with sunset in background.